I’m not going to lie, this has been a bit of a frustrating review to write. In order to adequately test film enough to give it a fair shot, I like to take several packs’ worth of pictures in a variety of lighting conditions and environments. I also like to use multiple cameras so I can be sure that the results aren’t being swayed by any individual bad camera. After churning through pack after pack of SX-70 over the course of the past year, I think I finally have enough data to write a review. SX-70 is not easy to shoot. Despite sharing the same iconic square frame, SX-70 is a much older format than Polaroid 600. It has a much lower sensitivity to light, and most of the SX-70 cameras are too old to have a built-in flash. Instead, they used one-time-use flashbars, which literally had a bulb that burst for every single picture you took, then you threw the flashbar away. I had a few, and let me tell you, those things were bright, hot, and probably more than a bit dangerous. I have a graveyard of SX-70 cameras that no longer work at my office, and these days I’m down to the venerable SX-70 Sonar to test this style of film. This rampant unreliability of the cameras, combined with the difficulty of using the film even when the camera does work, is the reason why I no longer recommend most photographers to use the SX-70 format at all. Polaroid Time Zero was a legendary film that was very much worth the struggle of SX-70, but it has long passed into history along with vintage Polaroid. A pile of blown images from SX-70 camera failure. Whenever my SX-70 thinks there isn’t enough light, it simply leaves the shutter open until the image is ruined. All that said, how does Polaroid Originals’ current-gen SX-70 color film hold up? How different is it from 600? Is it worth the struggle? All my vintage Polaroid SX-70 flash bars have been long used up, so I had to depend on sunlight to shoot SX-70. I often shoot instant film in studios under bright continuous lighting, but even that isn’t enough for SX-70. In the best of indoor light, I still get blurry results. 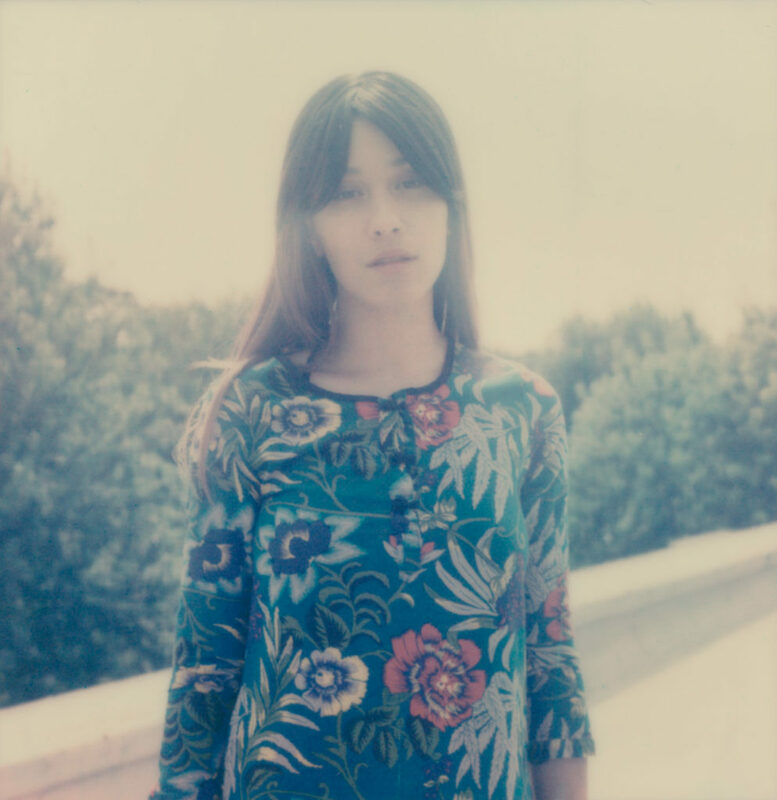 Bright, direct sunlight is your best friend for SX-70. Those brave souls who are determined to shoot SX-70 should invest in a Mint Flashbar attachment. It actually functions like a proper, normal flash, with no exploding bulbs to speak of. It’s expensive, which is why I don’t have one, but it’s a critical accessory for shooting SX-70 anywhere but bright, direct sunlight. Unlike older Impossible Project films, this Polaroid Originals film has a strong opacifier, and doesn’t require a dark slide to use in daylight. The opacifier is the blue chemical visible when the image first pops out that protects it from light while it finishes development. This film also develops fairly quickly, with an image becoming visible within minutes. Note that in extremely bright conditions (like the ones you need to shoot this film), it’s still not a bad idea to attach a dark slide over the slot where the film first comes out to maximize contrast. Consistently, over several packs, I’ve noticed that the SX-70 variant of Polaroid Originals tends to have a bit of a blue-green cast when compared to the 600 color variant. I wouldn’t claim it’s a better or worse look, just different. 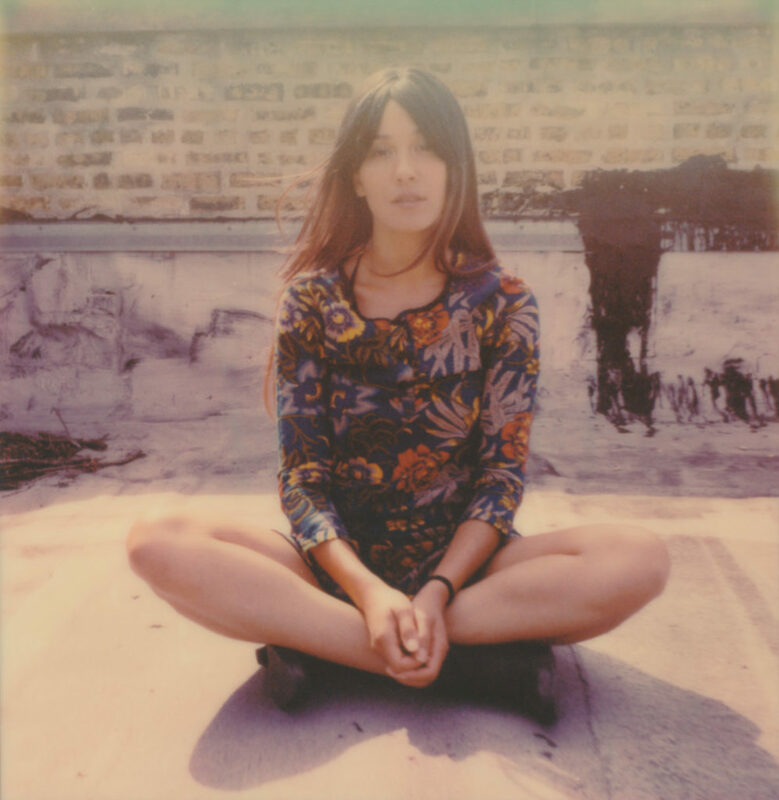 SX-70 example image. Shot with SX-70 Sonar folding SLR camera. Example of 600 image of the same setup. Shot using a Polaroid SLR 680. As for contrast, I had conflicting results. Some packs had deep, rich blacks, while others gave me a low-contrast, faded look. After looking through all the pictures I shot, I realized that this film tended to be a bit more sensitive to light when first ejecting from the camera. 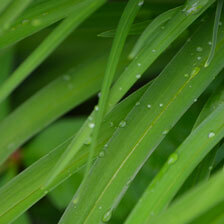 When it’s extremely bright out, make sure to use a dark slide to maximize contrast. When the film is protected or shot in a darker environment, the SX-70 tends to have richer blacks. 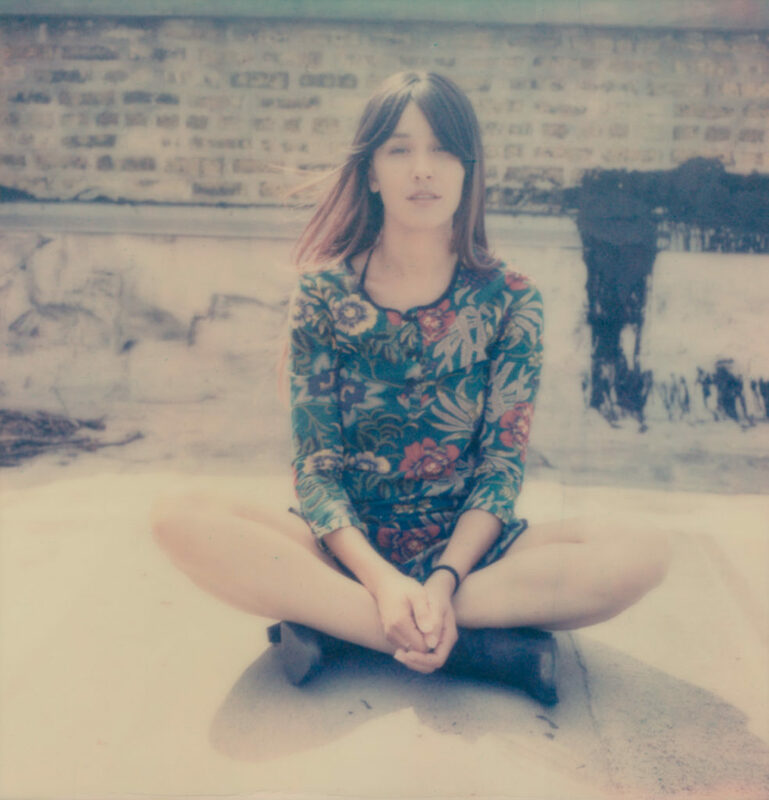 An SX-70 image from another shoot that shows strong contrast and deep blacks. 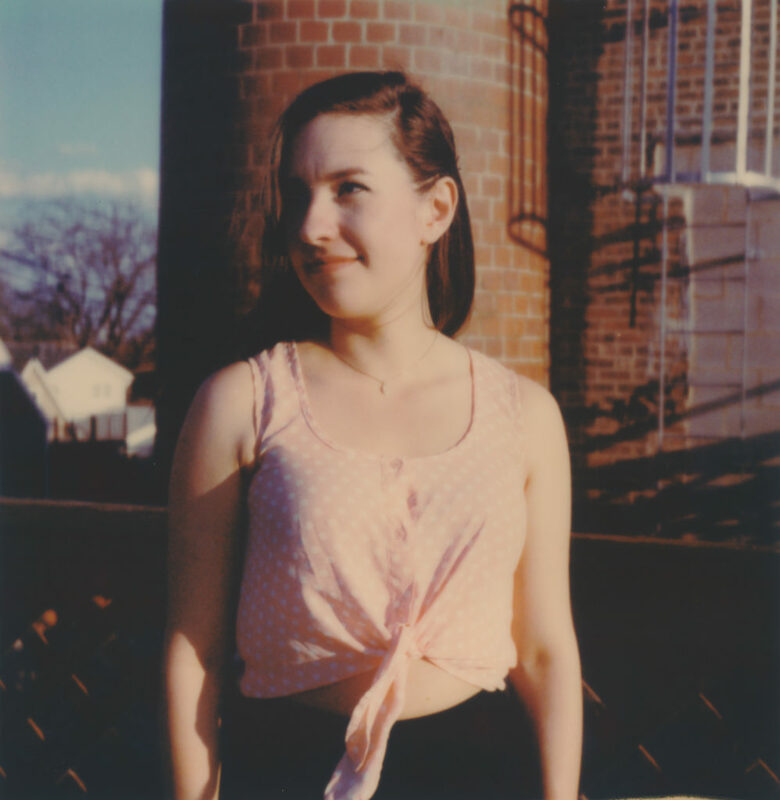 My SX-70 results tended to have less blue streaks than 600, which is technically an improvement. Also, like all modern Polaroid Originals film, there was very little evidence of any chemistry issues. It’s a solid, dependable film if you can get your SX-70 era camera to cooperate with it. 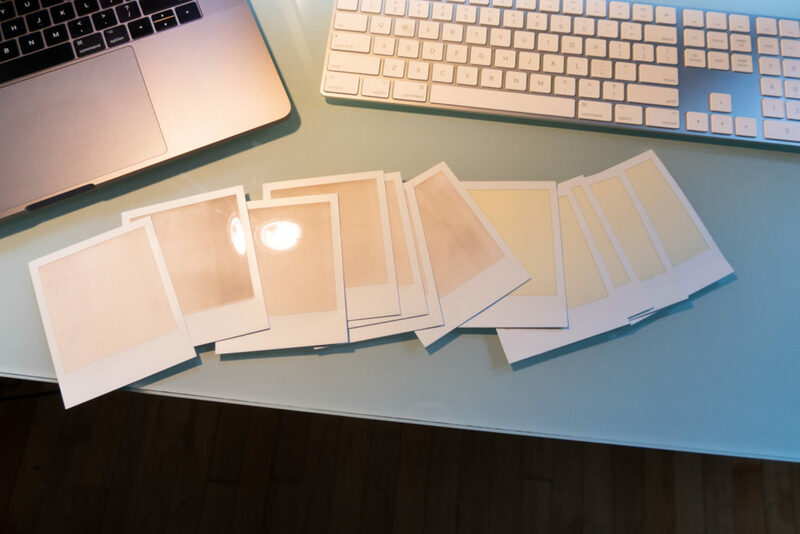 If you’re interested in how Polaroid Originals film compares to Fuji Instax in general, I recommend checking out my Ultimate Instant Film Shootout. From what I can discern, there is no advantage to shooting SX-70 Polaroid Originals over 600 type. Don’t get me wrong, it’s great film, and I’m very thankful that Polaroid Originals continues supporting these cameras. However, from a practical standpoint, shooting SX-70 is an exercise in masochism for no obvious benefit. If you only have access to a SX-70 camera, or really want to use a vintage manual focus SX-70 folding SLR, this is certainly the film to get. However, if you’re starting from scratch, I would recommend picking up any 600 camera before any SX-70 camera. It’ll just make your life easier, and you’ll get more shots to turn out the way you want them to. 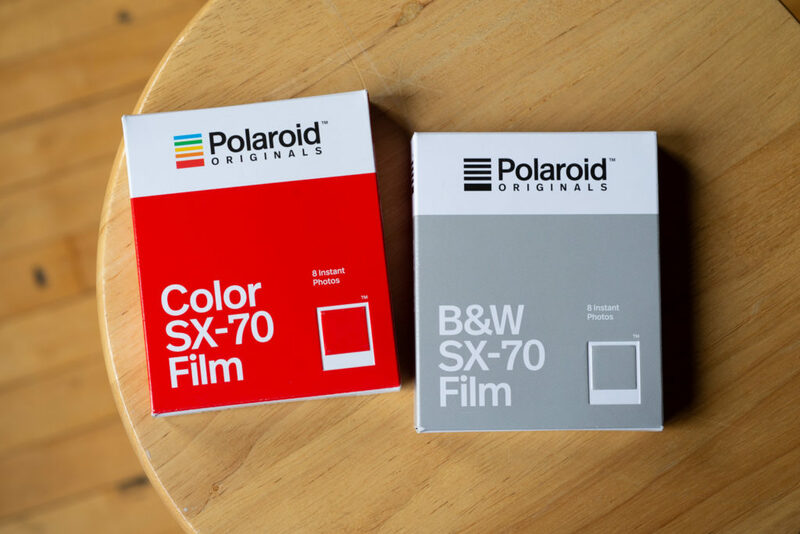 The best place to purchase Polaroid Originals SX-70 film is directly from Polaroid Originals. You can also pick it up at Amazon and B&H. Using these links helps me keep this site online and costs you nothing. Thanks!